A friend of mine has recommended that I check out this joint, so I dropped by for a visit last Thursday afternoon. 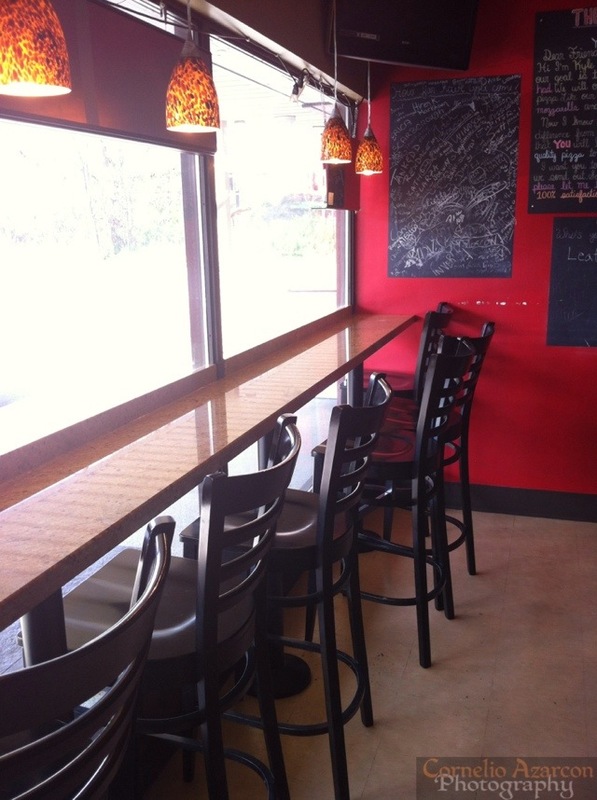 If you’re a big fan of pizza or just a casual fan, you’ll definitely love this place too. The restaurant is called Mickey’s Pizza, located in the Clarkson Village neighbourhood of Mississauga. They have been in business at this location for almost 2 years. Upon entering the restaurant, you’ll feel welcomed by its very casual atmosphere, and as you walk up to the counter, you’ll pass by a wall full of art and blog excerpts by individuals who have become loyal customers of this joint. 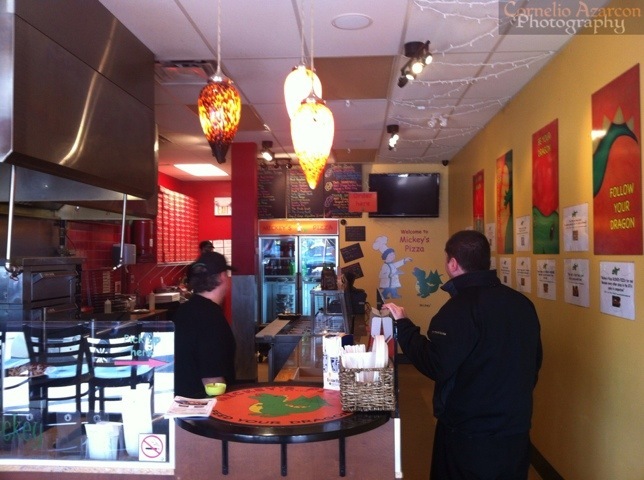 The menu is quite extensive, with a choice of either thin crust or deep dish, you have 30 selections to choose from. If you don’t find what you’re craving, you can always build your own. As far as seating goes, space is very limited, but the majority of customers order takeout, and, they only offer whole pizzas, no slices. 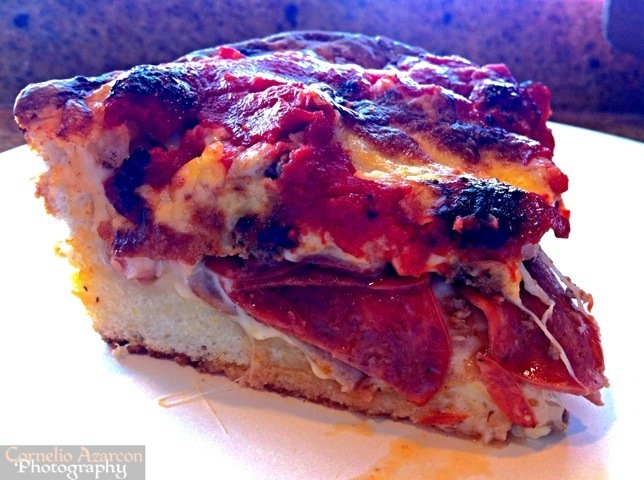 I ordered the small sized Meat King ($11.00) under the Killer King (Chicago Deep Dish) Signature Pizzas section of the menu. The toppings consist of pepperoni, sausage, meatball, and a choice of either crumble or strip bacon. It takes about 15-20 minutes to prepare and bake the pizza. 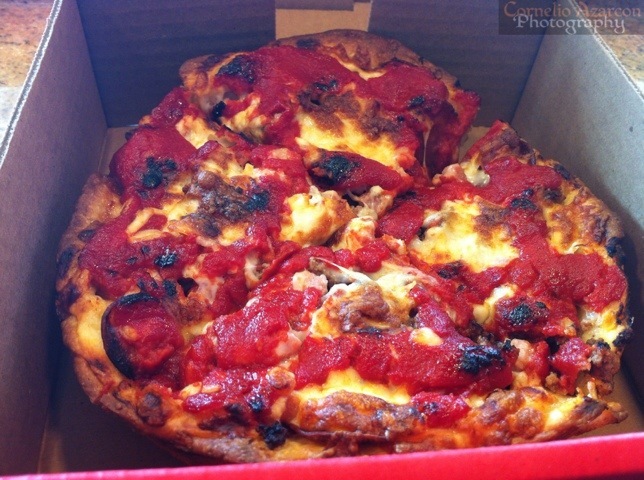 If you’re taking the deep dish pizza home, they will leave it unsliced. If you’re dining in, you’ll have to wait a few minutes for the pizza to rest before they slice it. The small sized pizza was sliced into 4 pieces and placed in a box. Hands down one of the best deep dish pizzas I’ve had so far. The pie was packed with toppings, and their home-made dough tasted really fresh and had a great flavour to it. 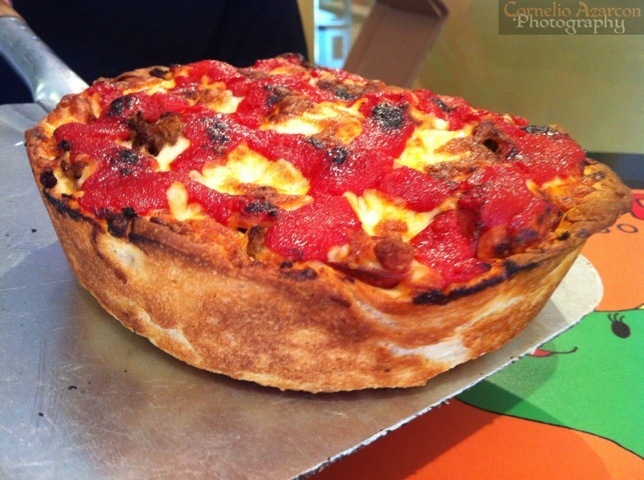 The pizza was baked to perfection, and the deep dish is a definite must try. Will absolutely return to try more of their menu, and will surely bring friends along. Welcome to the Killer Pizza club. I can’t believe that I waited a year and 1/2 before I tried their pizza too. They know me by name now. LOL Thanks for stopping by. I love the pictures. Definitely will be a regular there now. I met Mick, and he’s very friendly and really cares about his product and for his customers. You’re welcome…it was a pleasure checking out and writing about a restaurant in Clarkson Village. Deciding what restaurant in Clarkson to review next.